If you do everything at Legoland, you'll buy admission to three separate areas: Legoland, Sea Life Aquarium and the Water Park. They sell single tickets and combo tickets to cover whatever you want to do, but you can only get into the Water Park by walking through Legoland, which means you need a ticket for both of them. Check the current ticket prices on the Legoland website. Season Pass: Year-round, the details vary, with discounts on resort hotels, or offering free parking and other benefits. Reserve 'N' Ride: Wait in line less and maximize your fun. This option gives you the chance to reserve a ride and they will alert you when it is your turn. You will receive a Reserve "N' Ride device upon entry or you can use the mobile app. Ultimate VIP Experience: Includes admission to LEGOLAND California and SEA LIFE Aquarium, a personal VIP host, behind-the-scenes experiences, priority access to rides, shows, and attractions, valet parking at the LEGOLAND Hotel and much more. Coupons and Coupon Codes: An online search may find quite a few matches for Legoland coupons, but most of them lead to pages with nothing to offer, or to sources that offer standard rates and try to make them look like discounts. Twilight Rates: Get there two hours before the park closes and you can buy half price tickets. You'll get less than half a day of time, but if cost is the primary consideration, you can have a lot of fun in a couple of hours. This rate is not available on October Saturdays. Commercial airline employees: Get 20% off up to 6 Legoland tickets with valid airline ID at the ticket booth. Active military personnel: Show your ID for a 10% discount at the ticket booth. You may get a bigger discount by purchasing at Military Ticket Office on base or use your ID to order online. AAA members: Show your card at the ticket booth for a 10% discount on one-day admission for up to 6 people. LEGO club magazine sometimes has discount coupons in it. Sign up it for free online, but allow at least two months to receive your first print issue in the mail. 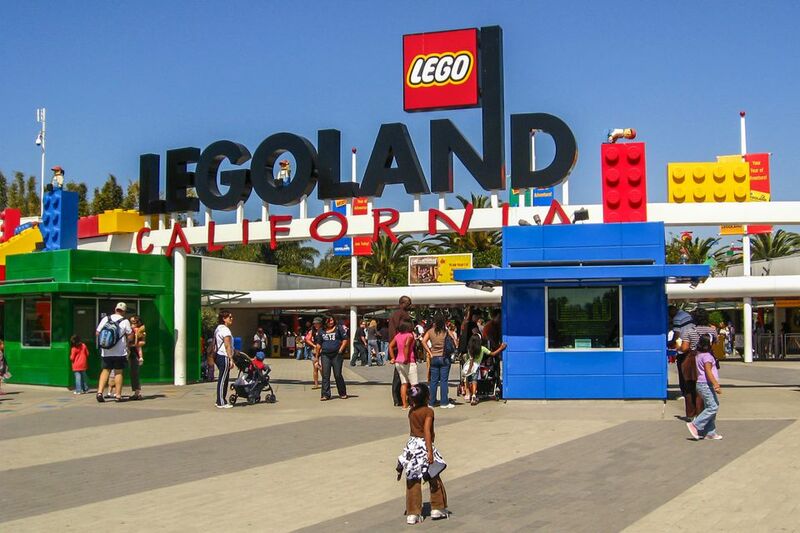 The Go San Diego Card offers a lot of attractions (including Legoland) at a reasonable price. Use this handy guide to find out all you need to know about it. If you're also planning on going to other Southern California attractions, check the Southern California CityPASS, which will probably be the best deal you can find. Read this review to find out why.